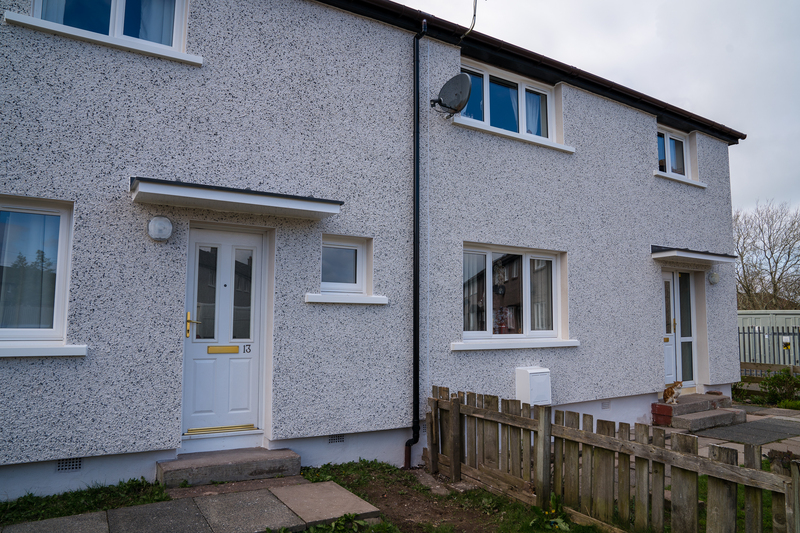 Around 800 tenants of Dumfries and Galloway Housing Partnership (DGHP) will soon benefit from better energy efficiency and lower heating costs thanks to investment of around £4 million over the next year to insulate and render their homes. The works are part of a two-year, £8m contract with SERS Energy Solutions (Scotland), carried out on behalf of DGHP. Annan tenant Miss Margaret Reid is one of those already benefitting and said she was delighted with the work carried out to her home. As well as new insulation in the walls of Margaret’s property, new A-rated PVC windows have also been fitted to replace the old timber style windows. “It’s really good to see the properties being invested in,” said Margaret, who has lived in her home for 32 years. The programme of works for rendering means DGHP tenants will benefit from new external wall insulation, cavity wall insulation as well as new rendering and roofing to some properties. Margaret also said that she would encourage everyone who is offered the chance to have the works done to have this carried out. 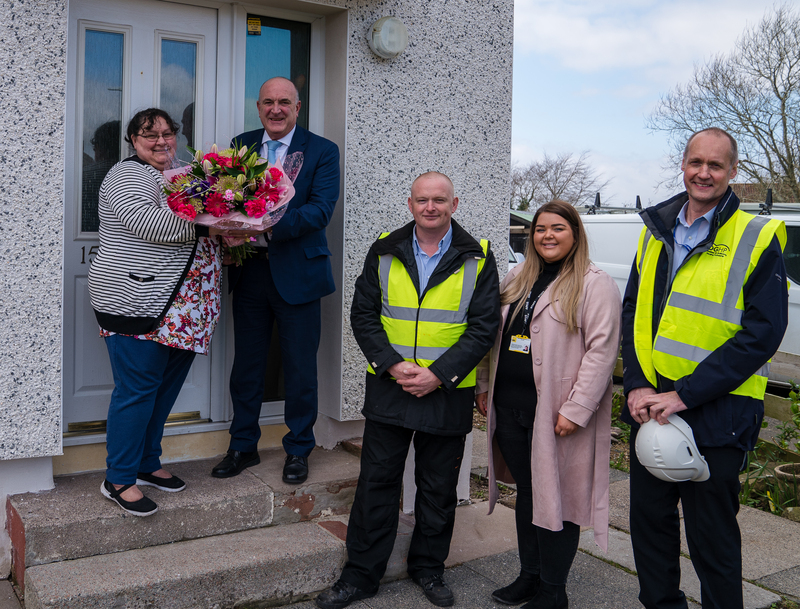 Jim Preston, DGHP’s interim director of investment and regeneration, said: “It was lovely to meet Miss Reid and hear of the benefits she is already seeing in her home. We are really pleased that the house now meets the energy efficiency standards. “For her to know that her home will be warmer and more energy efficient is what these investment works are all about. We want to ensure our tenants have lower energy bills and are more comfortable in their homes. Marion Gracie, managing director with SERS, added: “SERS are delighted to be working closely with DGHP to deliver the identified energy efficiency measures and improve the amenity of the community. 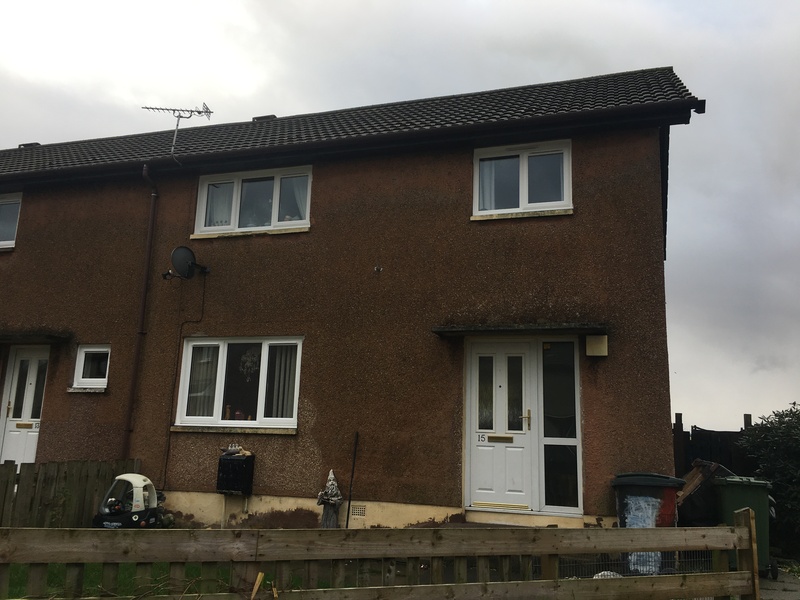 The render and insulation works, which began in January, will take around two years and will include properties across the region, from Stranraer to Langholm. Tenants will be informed in due course if works are being carried out to their property.